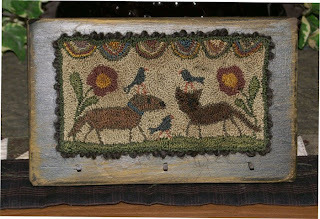 New Punchneedle Piece: "For the Birds"
A Day of crafting disasters! 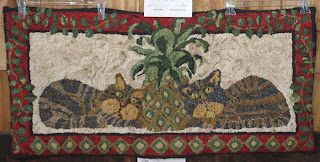 Today I worked on a few new projects and will show them to you next time, but for now, I wanted to share the rest of the pictures I got from the rug show. So here they are, sit back and enjoy. The rugs were on backboards and the floor, with benches in front, so it was hard to get shots of some of them. I did up a few more photos from the show, so I hope you enjoy seeing them. One problem was the light coming in the windows, it was hard to get a good shot on some. I tried to see the names, but some of the tags got white washed, so they were unreadable on the originals. Today I spent the day cleaning the house, that is what happens when you goof off all week;) I did get my office redone and a table that I can do my painting on, so glad I finally got that done. I have a few projects to finish and ones I hadn't started because I hate dragging things out and putting them away when I paint. Enjoy the show and I will put up the rest tomorrow. Time for me to relax and get to work on much delayed projects. 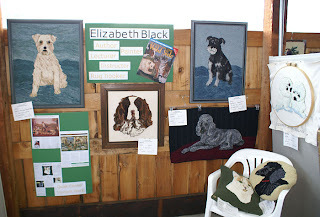 This is Elizabeth Black. 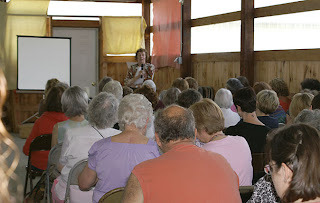 She did the talk for this show and she had quite a few people engrossed in her talk about how she got started and her hooking life. I just liked the simplicity and color scheme in this one. This was another of my favorites. Love the simple design and the use of colors. 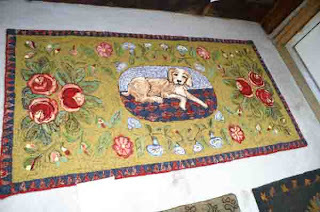 I also love dog rugs. This is a fun piece. I want to do a fun folk art style of my Border Collie, someday. This one is really beautiful in person, nice rich colors. I hope you enjoyed the online show and will come back tomorrow for the rest. 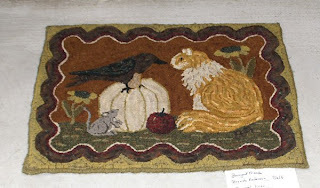 Today we went to Woodstock Connecticut for the rug show. We used the gps, not a good idea, lol. It took us down the worst back roads and have no idea why, it usually makes us go on the highways. We thought it was a short cut, not! The show was nice, but not a huge one. 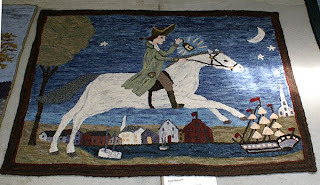 There were some beautiful rugs and Elizabeth Black was the guest speaker. 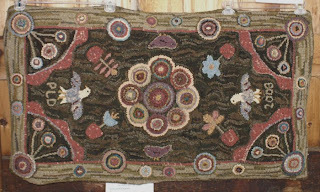 She does the most wonderful animal rugs and this is just a sampling of the many beautiful pieces, she has made throughout the years. One of my highlights was meeting Linda Repasky. She is as nice in person as she is online. 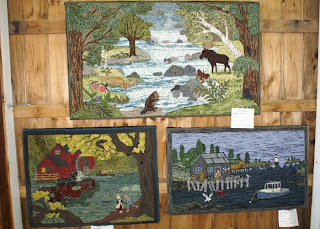 She is always so generous with helping others, when it comes to learning punch needle and about the supplies. She even bought me a skein of wool thread from Gloriana and one italian wool thread to try in my punch needle. That was so thoughtful of her and I can't wait to try it. 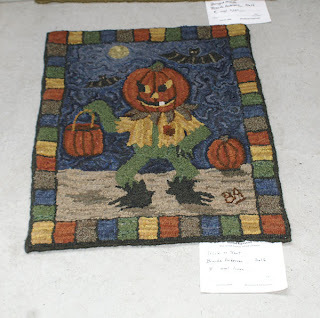 So, for tonight, I will show you a few rugs from the show and in the next days, more of them. 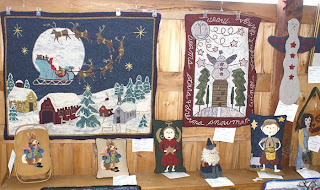 This set was at the beginning of the rug show, there are a lot of interesting and beautiful rugs for the holidays in this section. 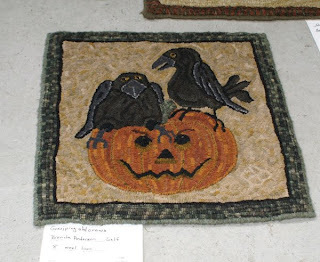 The next batch of rugs are from Brenda Anderson. 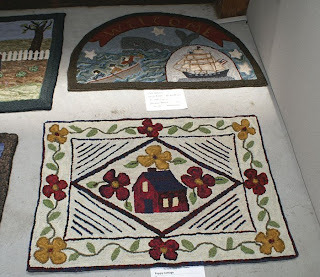 I just love the rugs she did and the colors she used. They are so deep and rich and so prim in person, not sure if they will be the same on here. She also has a unique and whimsical style. These are patterns I would enjoy making. 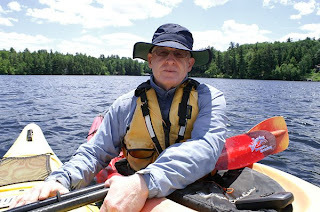 Today it was sunny, then it was cloudy, then chance of severe storms, so we decided to not go paddling. So, we went prim shopping and I got a basket and a repro jar, but too lazy to take pictures and put them in. I guess you want to know who won? I guess I should tell you. First, the winner of the guessing game. No one got it right, lol. But, you all got it half right, so I entered all of your names. 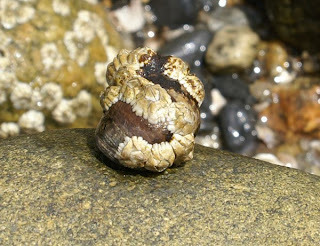 The correct answers were, barnacles and periwinkle. The are very small and in the snail family. The winner of the guessing game is.........Arlyce! The winner of the weekly drawing is........Lauren from RugsandPugs. Check out my patterns on ecrater and pick the one you would like and then send me an email with your request. It as fun sharing my week with you and it is not over. 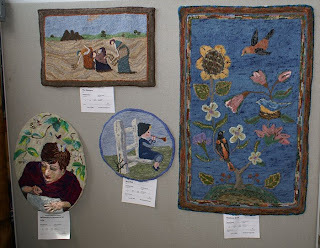 Tomorrow, if nothing goes wrong, we will be going to the Quiet Corner Rug Show in Connecticut and I will take lots of pictures to share with you all. 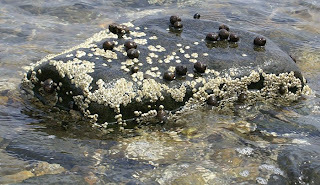 And here is another picture of periwinkles and barnacles on the rocks. 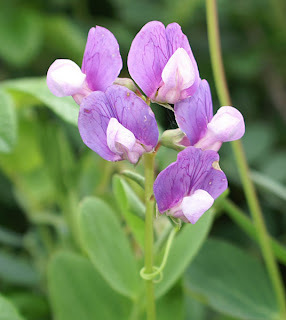 The whole area is covered with them and they are edible. Today I couldn't make up my mind whether to kayak or not. Then I checked the gear, which had been stored in the basement and decided I was not putting the musty items on, so they got cleaned today. 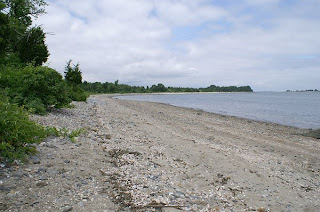 We decided to go for a walk to Rome Point here in our own town. 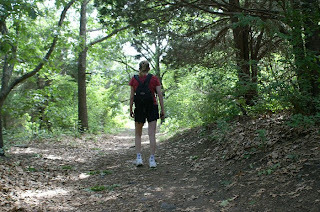 It is a nice walk through the woods and paths and comes out at the bay. 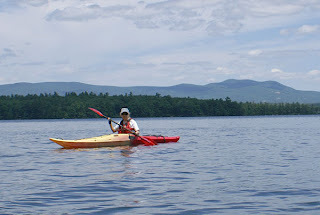 This stretch of water is where we do a lot of paddling. We start out going to the bridge and back to the launch and then I build up to going down the coast to the campus beach, which is about 3 miles one way. 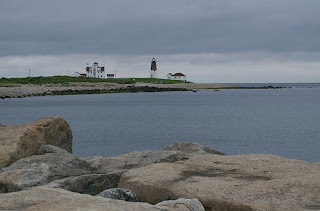 At the opposite side is the point, that is where we headed next, walking along the rocks. 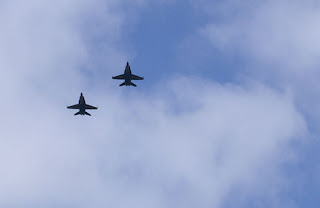 One of the reasons I wanted to get away from the house is that the air show is this weekend. They were practicing today and it was load and my dog was barking and going nuts. So much for a peaceful walk, here they come, with a blast that could blow out your eardrums. Now, I like to take pictures, close ups of strange things. So here is some fun for all of you. I took this picture on the beach. tell me what those white things are called and what they are attached to and I will do a special drawing for a booklet, of those who guess right. And for those of you, who ask to see new pictures of me, here it is, LOL. Today it is raining on and off, so we stayed home, to get things done around the house. 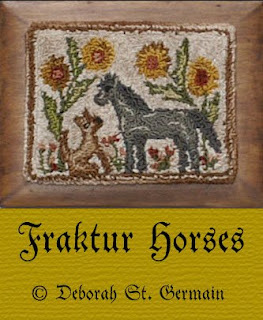 I worked on a fraktur for a friend's present and cleaned, while Bill finished the wainscoting in the bedroom. I decided to remake my dog and cat punch needle and another board and loved how this one came out. I got a little silly, I tend to do that;) This piece has some new additions including a trio of unlikely friends. 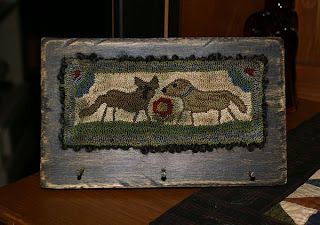 I used my own hand dyed floss for the dog and cat, so they have a nice mottled coloring to them, as well as the birds. Of course I can never get the colors right on pieces like this. Half the colors are either too light or too dark, the camera just gets confused with dyed colors. For the board, I used gold, over painted with black, then sanded down to show the golds beneath. The nails are antique square heads, perfect for this mounting. If you like this piece and would like to have it for your own, it will be listed on ebay later tonight. 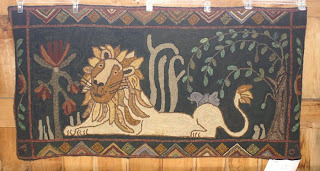 I will also be making a pattern with this one, it will be one pattern with different versions. 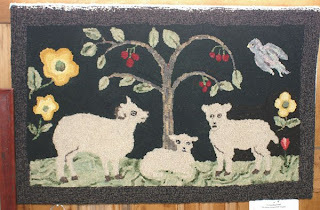 I really think this piece with or without the birds would make a beautiful primitive rug. Today was a cloudy day, and since we were not sure if it would rain, we decided to do some shopping and see how the weather went. I hit the Pfaff shop and got a new foot for my machine. I have a closed foot, I use for free motion and I cannot see where I am going, so I got myself a real free motion foot. 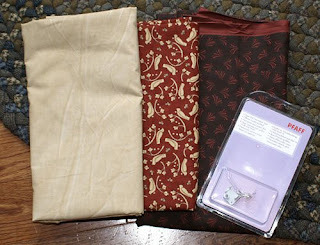 And we also hit the folk art quilt store and I treated myself to some sale fabrics and a yard of tea stained. 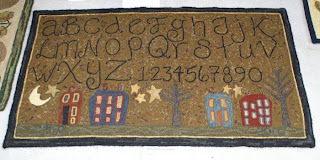 I love using the tea stained for applique and stitched sayings. Then we hit the thrift and an antique consignment. 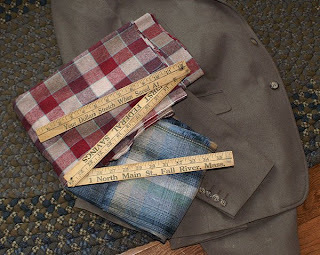 Nothing in the antique store, but at the thrift I found this set of vintage linens. 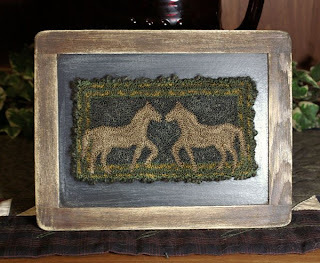 I think they would be great with some prim stitcheries and a walnut bath. The great thing about shopping in the southern area, is we are close to the ocean. 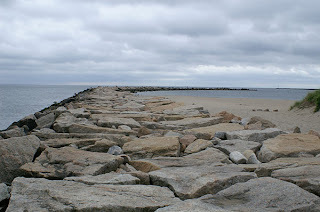 So, of course our next stop was the breakers at Point Judith. It was a cloudy day, but not raining and the air was so fresh and clean feeling. This is one of the interesting stories about how it got it's name. A Nantucket sea captain, lost in the fog off the point. The captain's daughter shouted that she spotted land. The captain, unable to discern anything in the fog, exhorted his daughter to "P'int, Judy, p'int!" You can see the light going on, in this shot. We walked almost to the end, but at that end point, it is covered in Seagull poo. It is gross and all over the rocks, at the far end. 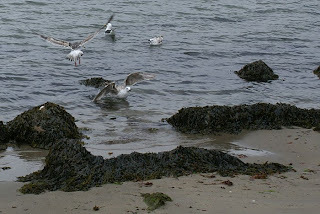 Today they were on the beach, fighting over tidbits in the shallow waters. For some reason, they weren't interested in this guy. 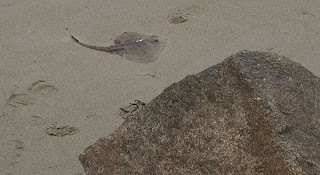 This is a skate, they taste a lot like scallops. Seagulls are scavengers, but I guess they weren't in the mood for skate. Coming back from the beach, we enjoyed the sweet smell of the wildflowers. All this rain has turned everything into a lush garden. 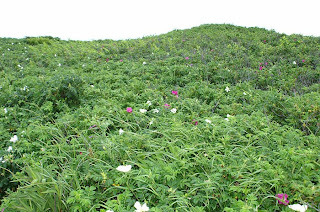 The dune was covered in wild roses. As we were leaving, the ferry and a trawler were coming into port. It was a wonderful day out and fun having a vacation at home. Tomorrow more rain, so we will work on the house and my husband can finish the wainscoting in the bedroom. Don't forget, comments left in each blog this week, count as an extra entry into the contest. I wasn't going to bother going up to the thrift store today, but I needed to hit Jo anns for some fusible webbing. There is a Savers, on the other side of the road, so it was worth a visit. Since we were supposed to be in Maine this week and hitting stores there, why not see what fun things I could find at home. It seems harder to find the bargain wool, but I did get a wool jacket that is a cashmere blend, perfect for penny projects. Then I grabbed some linen. 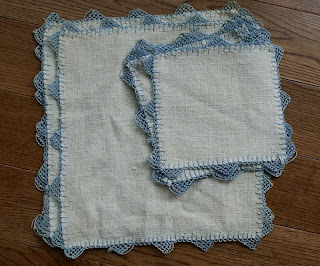 I have no idea what it is exactly, but it looks like linen and a friend loves the stuff and wants to make projects with it, so if it is the right type, it is hers;) Every so often, we see an odd item and just have to have it, just because it is neat, lol. I saw the old ruler and had to have it. 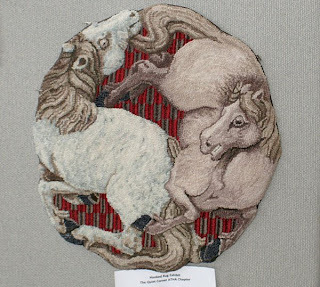 It is now in the basket of spools in my textile display. It is so fun to thrift shop, I can get neat things for nothing, my kind of shopping. 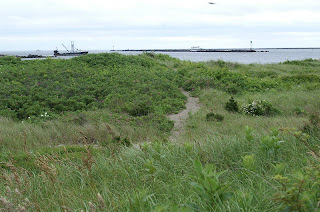 Tomorrow is another rainy day, so I think we will try some thrifts and consignments at the south end and if it clears, we can walk on the breakers for a bit. Don't forget, for every new blog that you leave a comment, you get an extra chance in the contest. So, you want to see what I look like now? Well, that depends on what kind of day I am having, lol. 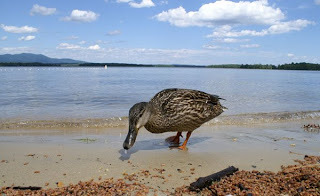 Last year we went to NH for our anniversary. So, this is the most recent picture I have of myself. Don't be jealous of my skinny legs, especially with those big feet. That was my little buddy, he was following me around the beach. Here is Bill, in his all sun proof clothing. He does have some hair left, under that hat;) I have a hard time getting shots in the boat, between my shake and the water motion, not an easy thing to do. Don't forget, comments today will count as an extra chance to win this weeks prize. Tomorrow is our Anniversary. I was supposed to have pictures of our wonderful drive to maine today, but you know what they say about the best made plans;) So, we are staying home and will enjoy the things we can do close to home. 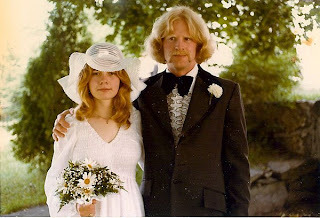 It is hard to believe that 34 years has gone by. And Tomorrow is also father's day. 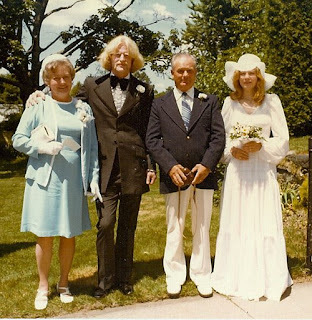 We both lost our parents a few years back and we miss them, but the good memories of the times spent, will always be with us. This is my mom and dad. And now, in celebration of our Anniversary, I am giving away a free pattern or booklet, you choose. 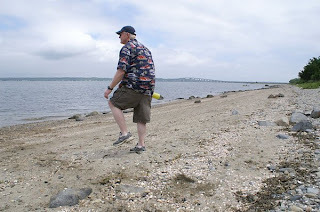 All you have to do is leave a comment on my blogs from now until next friday. You can leave one comment in each blog I do and get that many chances to win. I wasn't going to make any punches this week, but I saw this antique rug and I just had to make my own version. I loved the simplicity of the design and I had some over dyed threads that I have been wanting to try in the right project. This was perfect for them. 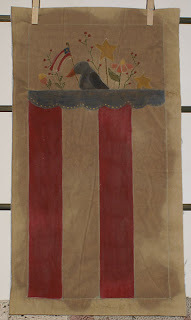 The dyed threads are in the background and in the border. I love how it all came out. The bad thing is, I had to use flash to get a picture and then mess with them in photoshop to get the right colors back. Today I got it into my head to make a painted quilt. 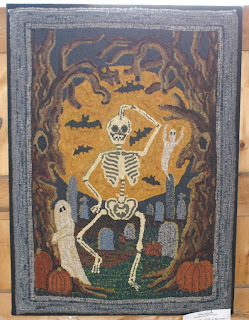 I found a design that I loved from Pumpkiin Seed Primitives. I used a tea stained muslim and then traced the design onto the cloth with my light box. I decided I wanted a flag, so I just used the main design and then added the length for the stripes. I used my machine to stitch over the lines and then decided the greenery, needed to be done in floss, so I did do that with a heavier stitch. I made a mess with my free motion, my hand had a mind of it's own today. I need to get the open toe free motion foot, so I can see where I am going. Then I used fabric crayons, fabric markers and watercolor pencils. It looked horrid. So, I took my acrylics and watered them down and repainted over the designs. It came out much better that way. So, this is the result, my mess, lol. I think I will see if I can find some blue or red faded ribbon or binding at the store, nothing I had looked right with it. Of course, after I finished it, I realized I made my stripes wrong and needed another red at the end. Then I decided to make a little rack for my dog and cat piece that I mess up. I got the board the way I wanted, then came the nails. I used antique square head nails, that my husband cut down to size, but not enough, so I ended up hitting the back too soon. Now one nail shows a bit of metal on the back and the others pushed a split in the wood. The good thing is it is in the back so it doesn't show, the bad, I cannot sell it. I will have to get the nails right this time. I finally got the new horse booklet done. There are some with a lot of detail, so more time redoing them and cleaning them up when I scan them in. 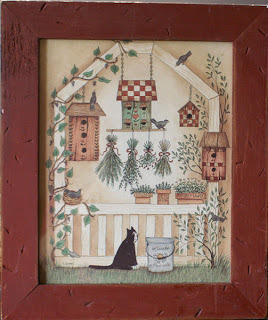 It has 4 of my original patterns that have been done with punch, hooking and painting. Then I added the two new ones with different versions, as well as, the colors I used in those pieces. It is a great book for punching or hooking, the designs work well, with both. I have raised the cost of this one to 14.00. I decided to make these patterns into a booklet, which saves from buying one pattern at a time, so I thought it fair. What do you think? I have also been asked to do print patterns and I am thinking about it. But, I do enjoy doing the epatterns, they are cost effective, so I can charge less than I would if I sold them as separate patterns and you can get them and start working on them, the same day you pay. Which way do you prefer? Epatterns or Print? I also had a request for the sewing kitty and made her up today. 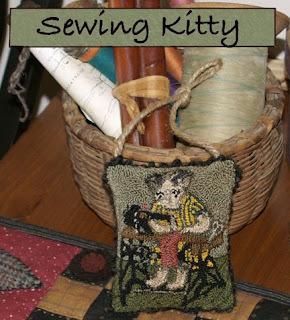 She is such a fun pattern and makes a great gift for your sewing friends. I may make another one as a gift and use a lighter background, this time. She is sold as a single. 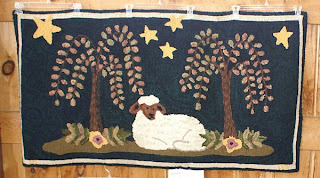 You can find my patterns on my ecrater site, link to the left. I really do enjoy seeing the pieces others make from my designs, so please share them with us.